An now, for something a little different. This is an article I’d written for a travel site, but they ended up not running it. So here, with only a few tweaks, is the original submission. This time you may actually learn something new on this blog. Are you the type who says this a lot? Maybe you’re a devoted traveler and have been to each continent at least once. Maybe you live by the “Try everything once” motto. 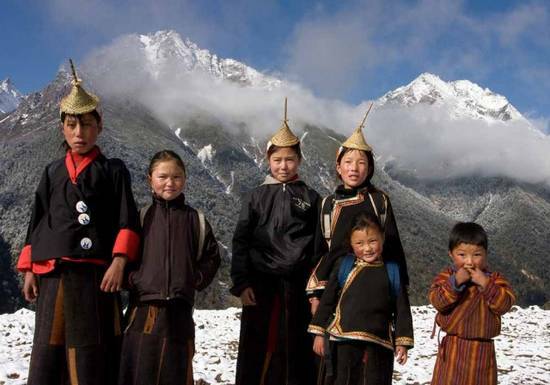 Merak and Sakten settlements are home to the indigenous Brokpa people of eastern Bhutan. The Brokpa lead a semi-nomadic lifestyle, relying on yaks to do much of their heavy lifting. Theirs is a truly unique culture, not found elsewhere in the world. The Merak Sakten region was completely closed to tourists until 2010. Now, a moderate trek takes you to this remote, as-yet-untouristed area, where you can experience the culture of the Brokpa “highlanders” firsthand. The journey itself is filled with magnificent sights: gushing waterfalls, endless hills and valleys, dazzling forests. A fortunate traveler may even spot the incredibly rare red panda up in a tree. Who knows, you may also stumble upon the elusive Yeti, if you’re lucky. Don’t forget to bring a camera for this occasion! 6. Thrihnukagigur Volcano: Where did all the lava go? Thrihnukagigur is a volcano in Iceland. Don’t worry, it’s been dormant for millennia. Its name is a tricky tongue-twister that translates as “Three Peaks Crater.” This volcano is quite exceptional. The crater here wasn’t clogged up by the lava as it usually happens. Instead, the lava retreated, leaving the volcano open for exploration. Tourists weren’t allowed inside until 2012. Today, you can descend 120 meters to the bottom of the crater…in an open cable lift, so it’s not for the faint of heart! Inside you’ll see a mesmerizing fusion of colors. The retreating lava painted the walls of the crater in complementary shades of dark red and bright orange. Getting there and back takes a bit of time—a one-hour hike each way. If you’re not a huge fan of walking, a helicopter gets you there with less hassle. 5. Jaffna Peninsula: War and—at last—peace! 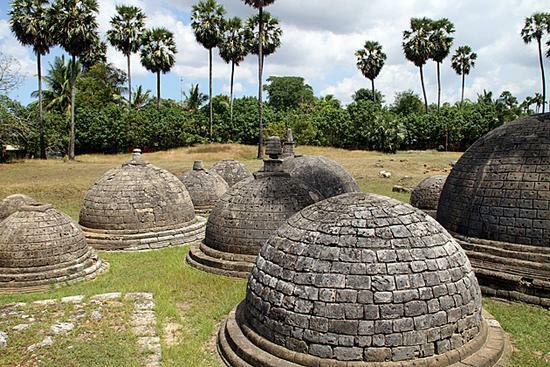 The Jaffna Peninsula saw unprecedented devastation during Sri Lanka’s 26-year-long civil war. After the conflict ended in 2009, Jaffna began its rebirth. The peninsula is rising from the ashes, and tourists are finally allowed to come here. Don’t leave the peninsula without thoroughly exploring the nearby cluster of islands: Kayts, Karaitivu, and a handful of others. Spend the night in the old, Portuguese-built Fort Hammenheil—now a well-reviewed hotel. Finally, take a rickety wooden ferry to the remote island of Neduntheevu, where time almost stands still. Mingle with the locals, watch their horses lazily graze in the fields, and cherish the thought that you’re one of the very few to have come here. For now. 4. Bocana Copalita Eco-Archaeological Park: Is Indiana Jones around? This archaeological site on Mexico’s Oaxaca coast has only opened to visitors in 2010. Some of the structures here date all the way back to 500 B.C. The site houses a museum, where many of the archaeological finds are on display. Excavations are still ongoing, so you may come across a few enthusiastic men in fedoras digging up timeworn relics. But what if you’re not into ancient trinkets found deep beneath the ground? In that case, you can enjoy a leisurely walk along the forest trail, where birds and butterflies are rumored to outnumber people. You will pass a calm lagoon. You’ll see herons’ nests in the nearby trees. 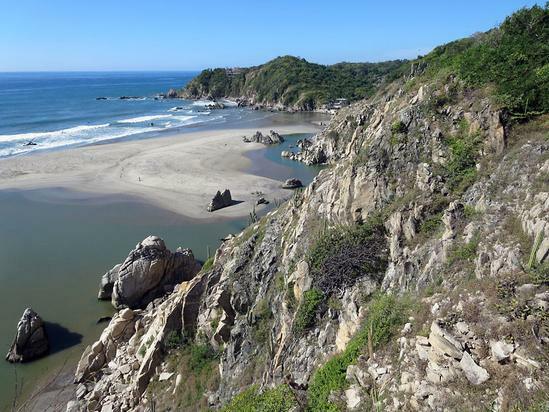 Finally, the trail will bring you to a lookout that offers stunning views of the Copalita river flowing into the sea. Linger here for a moment to enjoy the soothing sounds of water. 3. Chernobyl: Spooky and surreal? Definitely! The site of the worst nuclear disaster in history doesn’t exactly scream “vacation,” does it? 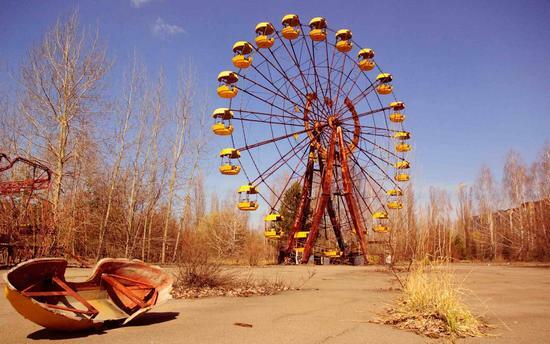 Yet, to the intrepid adventurer, Chernobyl offers an inimitable, haunting glimpse into a post-apocalyptic world. Ukraine decided to open the site to tourists in 2011, 25 years after the tragic accident. Now you can find multiple tour operators willing to take you on an eerie expedition into the heart of Pripyat, a ghost town in the Chernobyl Exclusion Zone. Walking around the town’s abandoned amusement park—complete with a decrepit Ferris wheel—is probably the closest you will ever get to teleporting into a horror movie. Empty buildings and the general sense of unease are enough to make your skin crawl. You’ll have to be a bit of a risk taker to sign up for this tour. Right from the start, you must sign a waiver stating you won’t hold the tour operator accountable for any radiation-induced health problems. Reassuring, isn’t it? However, if your goal is to turn up the danger dial to “extreme,” Chernobyl is unmatched. 2. Turtuk: Got a sweet tooth for apricots? This sublimely picturesque village is tucked away at the edge of Shyok Valley, north India. Until 2010, no foreign tourists were ever allowed here. Today, you’ll need a special Inner Line Permit to visit Turtuk and its 4,000 residents. You can get there by bus, or—if you’re feeling fancy—share a jeep with some friends. Turtuk is truly one of the least touristed places in India, if not the world. The village is split in two by a spouting glacier-stream. There are 300 families living on each side of the stream. It’s supremely quiet, if you don’t count the roaring Shyok River making its way past the village. 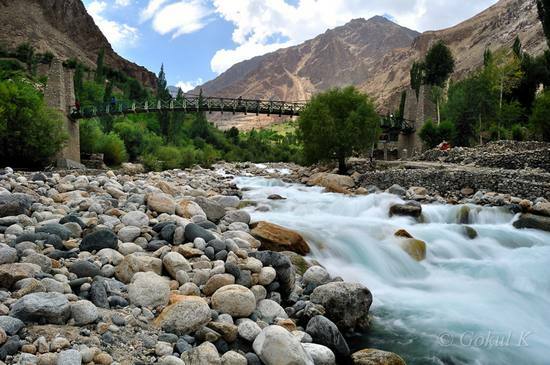 The town’s awe-inspiring scenery is made up of blooming vegetable plantations and Turtuk’s trademark apricot trees. You simply must try their apricots—they’re the sweetest in the entire region, the locals insist! When you descend into the Son Doong Cave, you quite literally enter another world. The cave has its own ecosystem, complete with a lake, a fast-flowing river, and…a jungle. That’s right: When you have more than five kilometers at your disposal, it’s easy to fit a jungle in there. 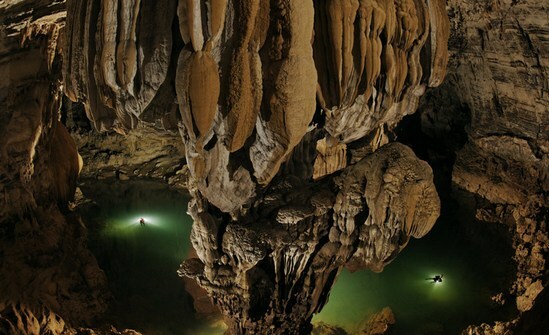 The Son Doong Cave is located in the Quang Binh Province of Vietnam, on the border with Laos. It has the honor of being the largest explored cave on Earth. The views that open up inside are truly breathtaking—from the deep-green trees to the seemingly unending caverns to the giant, 80-meter-high stalagmites submerged in thick mist. 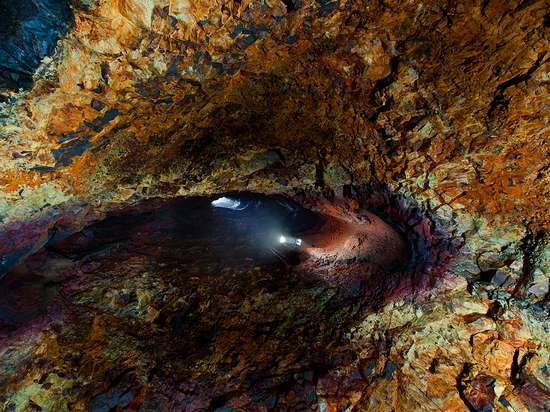 Each photo taken in the cave makes it look like an alien planet from a Hollywood movie. Son Doong first opened to tourists in late 2013. Six lucky explorers spent seven days inside the cave and took loads of envy-inducing photos. If you hurry, you can be one of only 220 people to get a visiting permit in 2014. You’ll need to cough up $3,000 for the privilege. But the photos you’ll snap inside? Those are priceless! It does, doesn’t it? I’d like to go one day. Dude. I’m back. How’s tricks? This was a great little post. And although I’m sure you’re not interested at all, my family is originally from Jaffna. Now I would love to go there but as a Tamil, I hear that checkpoint could be even scarier than it is for most… Chernobyl has definitely piqued my interest though. Your family’s from there? Whoa, quite a coincidence! How was Australia? I’m as good as one can be when one’s country is on the brink of war with Russia. Australia (and then New Zealand) were both great. Though I’m not sure I much feel like writing anymore. Am in a bit of a funk. Thankfully you and the others are still around to entertain me. You serious? Are you planning to stop blogging? That sounds pretty drastic! On the other hand, happy you enjoyed the “down under” trip! Oh no. I’m sure I won’t be stopping altogether. But I only ever set the site up in the first place as a platform to write a book. And now that I’ve achieved that goal, it’s hard to motivate yourself to keep going, you know? A good article Listverse article for a blog post? Guess the line between work and play is a blur for you. This one wasn’t originally intended for Listverse, but a travel site. But yeah, writing for Listverse and Cracked is good practice for these articles. Wow! What a collection of sites to visit. Chernobyl is out for me. You and Carrie are nuts, I say, NUTS! I live really close to a nuclear plant and I want to be able to sleep at night. But wow! What a collection! I did learn something. Thanks Daniel! Fine, then the cave in Vietnam it is! Bring a raincoat, I hear jungles get pretty wet! Yeah I must say I’m a sucker for haunted places…Chernobyl and the Son Doong cave are my personal favourites! Well hey, if it’s not dormant, you’d get to experience a volcano eruption first hand? Posthumously(ish)! How cool is that? N…n…not cool at all? Oh, I see. Okay, but if I do go down with the lava, please write a blog post about my experience. You’ll have to embellish, of course, seeing how you won’t be there first hand, but I think you’ll get the gist of my downfall right.